I am a software developer at DRW Trading. I have a passion for discovering and maturing innovative solutions. I've worked as both a full-time employee and as a consultant for many years. The two environments are very different; however, a constant in my career has been my focus on how I can deliver more with less. Unit Testing has moved from fringe to mainstream, which is great. Unfortunately, developers are creating mountains of unmaintainable tests as a side effect. Working Effectively with Unit Tests details my opinions on the best way to test, while acknowledging alternative styles and contexts in which tests are written. Whether you prefer my style or not, this book will help you write better Unit Tests. 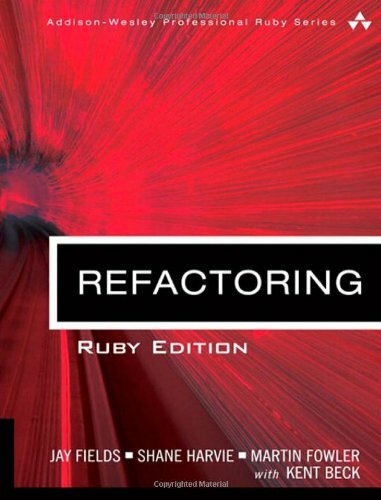 Refactoring: Ruby Edition: Refactoring, Ruby Edition, blends the original content of Martin Fowler's Refactoring with lessons of the past 10 years, resulting in a thorough demonstration of how Ruby practitioners can realize the significant benefits of Refactoring. speakerconf: Imagine a conference where all the attendees are conference speakers themselves. Most of them will present during this conference, but all will actively participate in lively, interactive sessions where over-the-horizon information technology innovations are presented and discussed. speakerconf is that conference.